An aerial view of We Energies’ twin Oak Creek and Elm Road coal-fired power plants south of Milwaukee, Wisconsin. Image from Google Earth. Oak Creek, WI – Today, residents and the Clean Power Coalition of Southeast Wisconsin (CPC) announced the deployment of seven PurpleAir monitors in the vicinity of the Oak Creek power plants. Families who live near We Energies’ coal-fired Oak Creek power plants have been expressing concerns for years about exposure to coal dust and associated negative health impacts. Despite We Energies reportedly taking steps to address the issue, residents have continued to find new coal dust on their homes and properties throughout the spring and summer, and We Energies has yet to install the new air monitor they promised to residents at a public listening session on April 4th. We Energies currently operates a single air monitoring station southwest of the plant. In January, the CPC wrote a letter to We Energies requesting an additional air monitor be placed north of the plant and asking for results from both the new monitor and their existing monitor in Caledonia to be provided in real time. 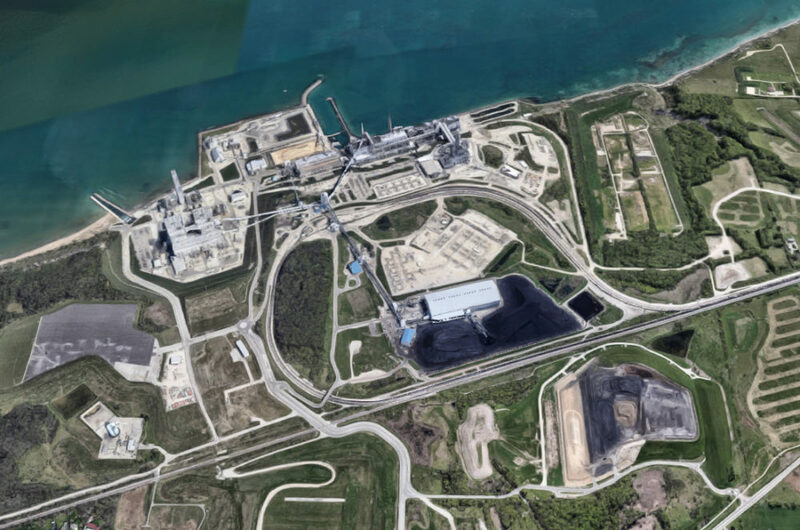 Initially, We Energies refused this request, but later agreed to place a monitor north of the plant after repeated coal dustings in the area. However, they stated that they will not provide results from either monitor in real-time. Residents took matters into their own hands, raising nearly $2,000 for the PurpleAir monitors through a Go Fund Me campaign earlier this summer. The CPC used the funds to purchase the monitors and has distributed six of them to residents with homes in a variety of locations within a three mile radius of the plants. A location for the seventh monitor is still being determined. The CPC plans to analyze results from their air monitors for patterns and possible hotspots. The data will be available online to the public in real-time through an interactive map on PurpleAir’s website as soon as the monitors are installed. Additional testing would need to be done to confirm whether any bad air is a result of the coal piles. 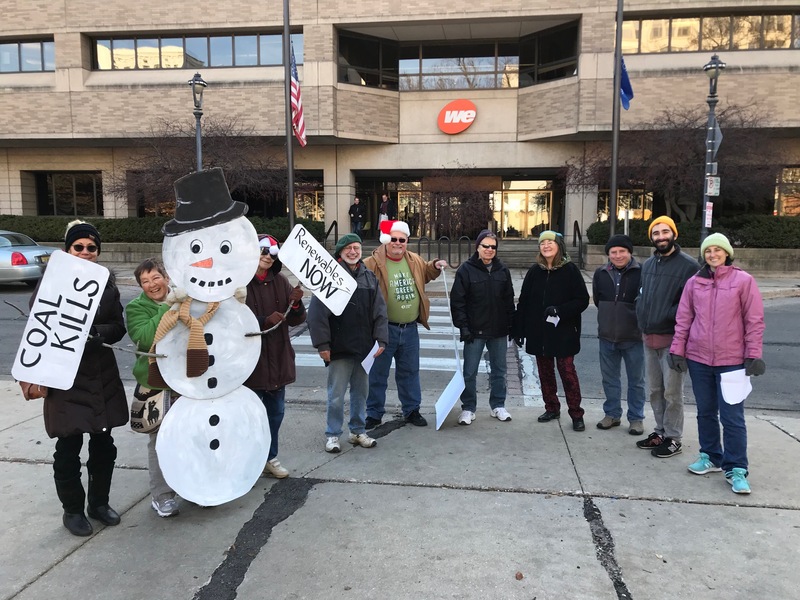 The Clean Power Coalition-Southeast Wisconsin will educate the public about the dangers of burning coal on the health of those who live and work in the vicinity of We Energies’ South Oak Creek and Elm Road Power Plants. How we choose to generate electricity has consequences that reach far beyond the return on shareholder investment, affecting everything from public health to a stable climate. When air, water, and soil are polluted, health and life are put at risk. The Clean Power Coalition will promote public debate about the appropriate source of energy for Southeastern Wisconsin. At the same time, the coalition urges We Energies to: 1.) immediately contain the coal dust and other health hazards emanating from the Oak Creek plants, 2.) phase out its use of coal, and 3.) promote rather than obstruct the adoption of renewable energy throughout its service territory. Clean Power Coalition convening member organizations: Eco Justice Center / Greening Greater Racine / Moms Clean Air Force / NAACP State of Wisconsin Environmental Committee / Our Wisconsin Revolution / Racine Dominicans / Racine Green Party / Sierra Club, Beyond Coal Campaign / Sierra Club, John Muir Chapter / Sierra Club, Southeast Gateway Group / Wisconsin Interfaith Power and Light / 350 Milwaukee. Supporting member organizations: Citizens Acting for Rail Safety / Gaia Coalition / NextGen America / Racine Coalition for Peace and Justice / Racine Interfaith Coalition / Interfaith Earth Network / School Sisters of Notre Dame / Wisconsin Green Muslims / Wisconsin League of Conservation Voters.